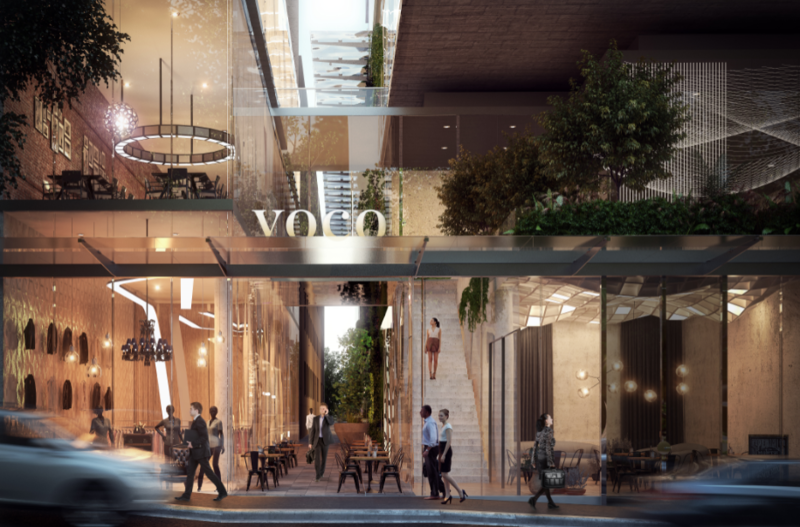 IHG has signed its third voco hotel in Australia since the brand’s global launch in June, partnering with Brady Group to open voco Melbourne Central in July 2020. Part of the under-construction ‘380 Melbourne’ skyscraper with a high end residential offering that is being developed and built by Brady Group, the 252-room voco Melbourne Central will feature all the unique and playful hallmarks of the voco brand. Guests will get a true sense of arrival as they check in at the Sky Lobby on level seven, affording magnificent views of the city as they enjoy voco’s genuine welcome experience, including a locally-inspired welcome treat. Once checked in, all the elements of the voco life will be on offer, including rooms that are designed around the ‘Me Time’ concept with indulgent beds for a premium sleep experience, high quality showers, innovative lighting and user-friendly technology. Beyond guest rooms, the hotel will feature a pool, gym, meeting space, all day dining restaurant and bar, and – importantly for Melbourne - Barista served coffee and a great breakfast. Abhijay Sandilya, IHG’s Senior Director of Development – Australasia, said: “voco is inspired by the Latin for ‘come together’, so we are excited to introduce a place for Melbournians, Australians and guests from around the world to do just that. We’re thrilled to partner with Brady Group to bring the third voco to Australia as part of the spectacular 380 Melbourne development. Tony Brady, Managing Director at Brady Group, said: “Melbourne is famous for its distinctive, individual character and standing out from the crowd. 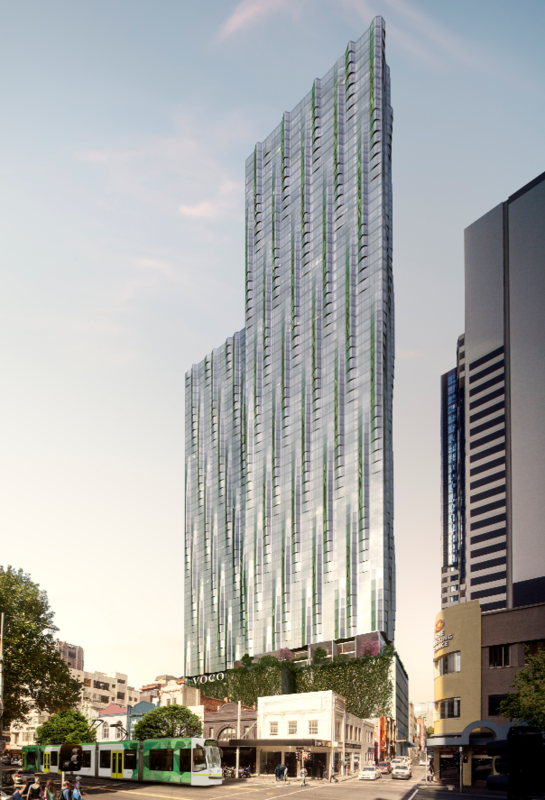 380 Melbourne is Brady Group’s largest project to date and will be an icon on the Melbourne skyline, so we knew we needed a distinctive brand like voco to complement the high end residential and retail offering development. Launched in June this year, the voco brand will strengthen IHG’s offer in the $40 billion upscale segment, which is expected to grow by a further $20 billion by 2025. This distinctive brand will offer owners the ability to drive higher returns by delivering a compelling guest experience and leveraging IHG’s powerful systems. Including best-in-class revenue management and technology capabilities and IHG® Rewards Club, one of the world’s largest hotel loyalty programmes.